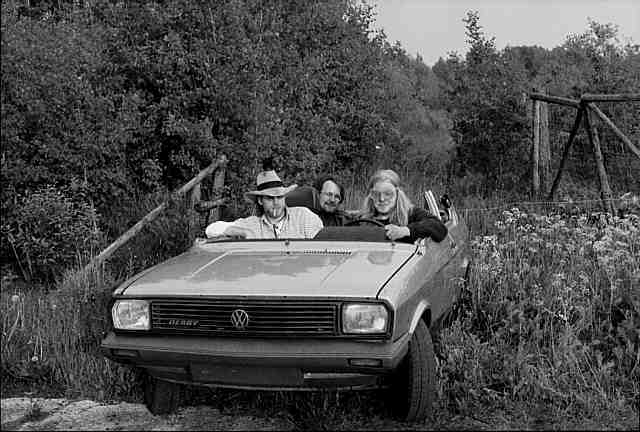 The Volkswagen Derby is a saloon version of the Volkswagen Polo supermini, produced by the German automaker Volkswagen, between 1977 and 1981. During 1981, Volkswagen introduced the second generation Polo and the second generation Derby; in 1984 the Derby name was dropped and the saloon version of the Polo became the Polo Classic. Most parts of the Derby are interchangeable with the Mk1 Polo, and many drivetrain components are compatible with the Mk2 models. Body parts at the rear and also the rear window are different. 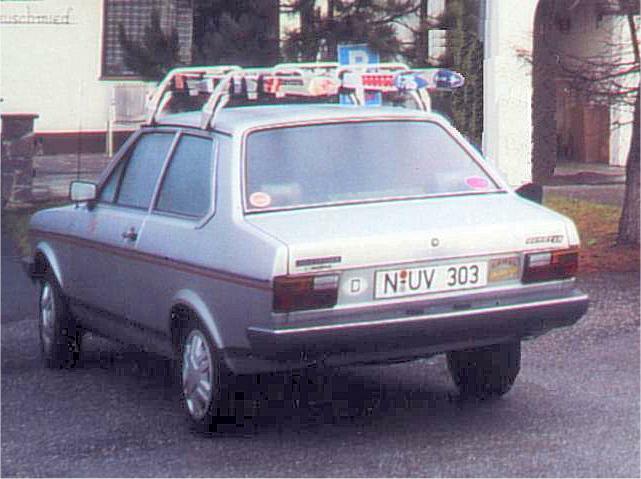 Lights of the early version are the same as the Mk1 Polo and the car which began this design: the Audi 50, which dates to just before the full merger of Audi and Volkswagen. In Europe, the Derby was available with 0.9-LITRE (896 cc) 1.1-litre (1096 cc) and 1.3-litre (1296 cc) 4-cylinder engines, badged as 1100 and 1300 respectively. The Derby Formel E ("Formula E"), offered in 1981 only, was an energy-optimized Derby featuring, among other things, automatic engine turn-off when idling and a differently tuned engine that demanded super instead of regular petrol (as the regular 1100 engine did); the Formula E concept was also available on other contemporary VW (and Audi) models. This model was not sold outside of Europe, although some parts of Eurasia did get the Derby — Turkey, Cyprus and Malta were the main export markets within Eurasia, also some parts of Eastern Europe bordering on Asia had this car. The name was used on a re-badged SEAT Cordoba in Mexico (see section below): but marketed as the Volkswagen Polo saloon in Eurasia. Volkswagen marketed a face-lifted version of the 1999-2001 Polo Classic which as the Derby in Mexico and a Volkswagen Caddy the SEAT Inca derived van which shares the same platform and front end styling as the South American Type 6K. The 6K Polo Classic and 9K Caddy have been produced since 2000, although saloon versions of the Polo have not been sold in Europe since 2002. All face-lifted Type 6K/9K models are built in Argentina. This model had a 1.8-litre engine, which was exclusive to South America, and not offered on the European Volkswagen polo saloon / estate. Bu hafta Volkswagen'in bir modelini elimden geldiği kadar tanıtmaya çalıştım.Umarım az da olsa bilgi verebilmişimdir. En alttaki modeli Brezilya ya da Meksika malı diye hatırlıyorum. Üstte de yazıyomuş ya,Meksika . derbylerin cam suyunu sol tarafta allta ayagınla bastıgın bir pedalı vardı kullanmışlıgım var değişik düğmeleri olan bir vw...dörtlü audilerin basıları gibi sinyallerin orada kolu var..